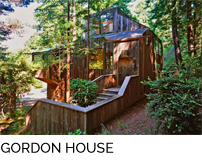 This 1730 SF vacation/future retirement house sits on a flat coastal meadow subdivision lot with moderate views towards the ocean. 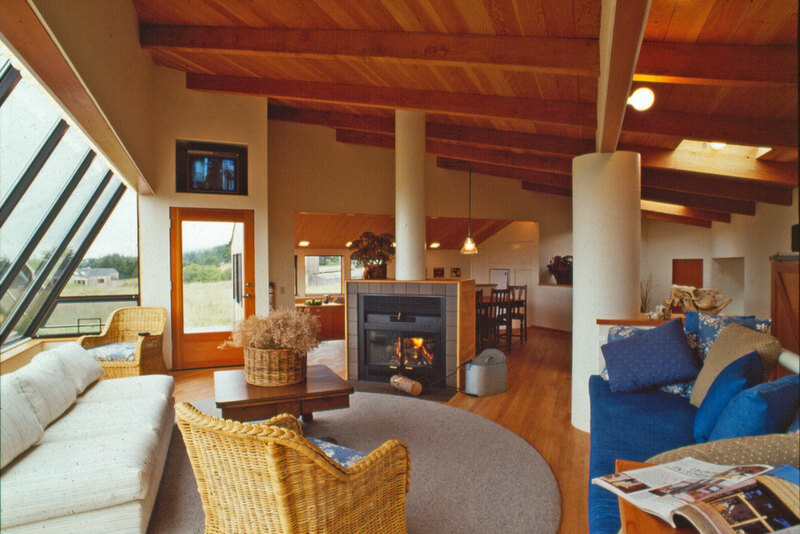 The owners requested a house that was simple, natural and spacious. 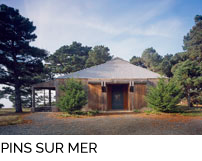 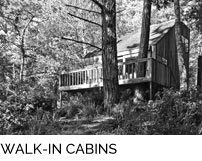 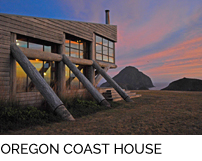 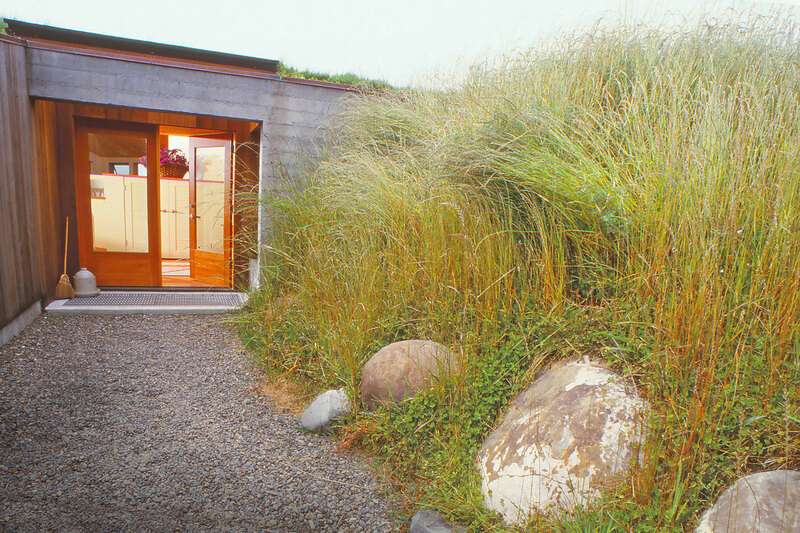 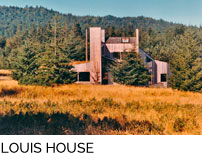 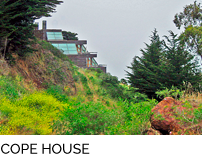 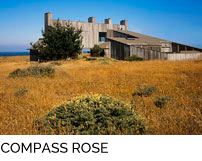 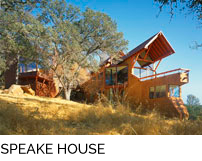 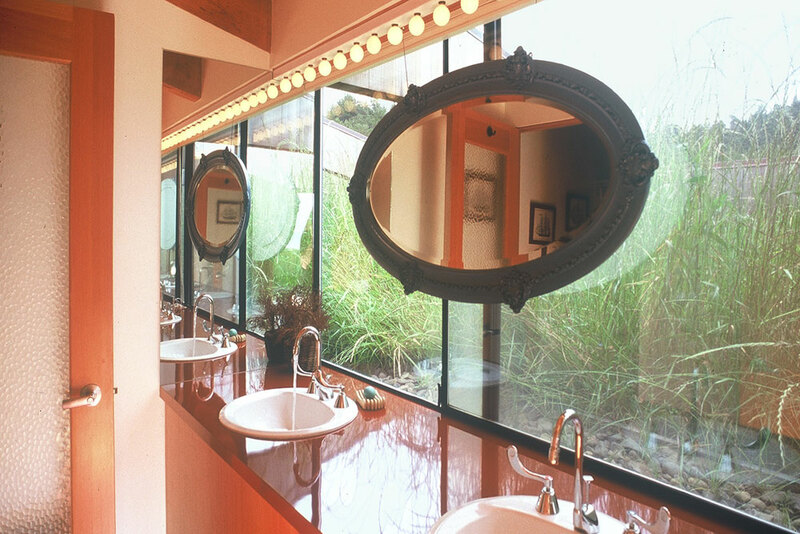 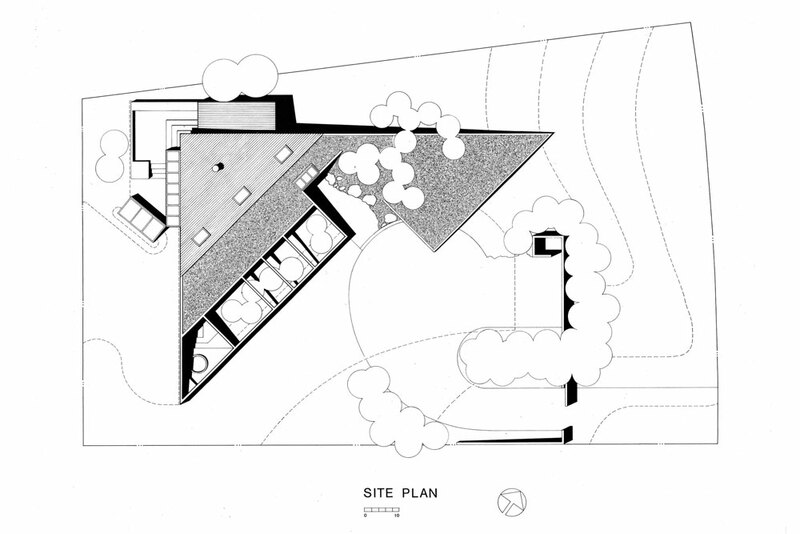 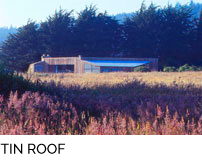 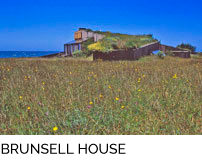 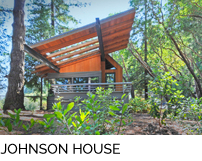 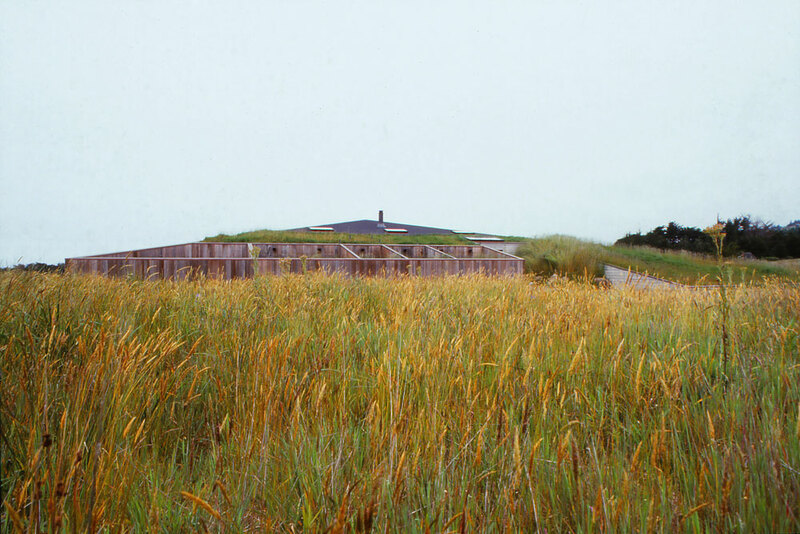 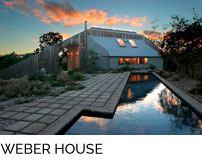 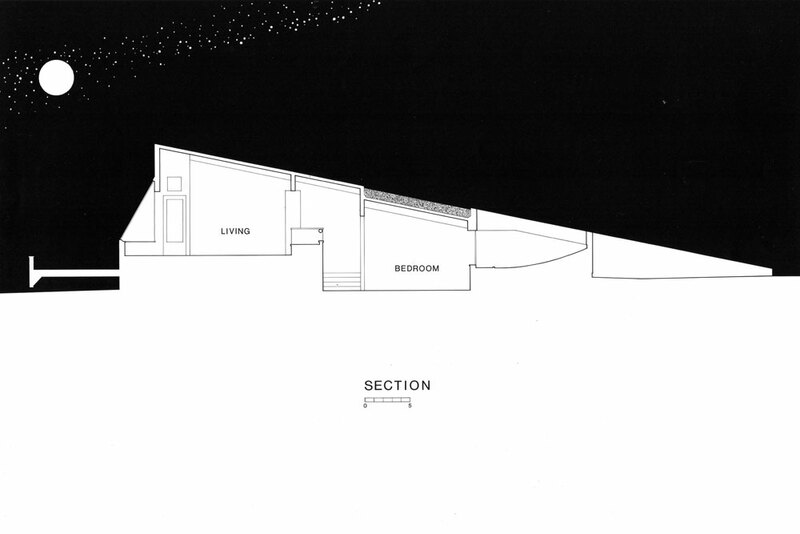 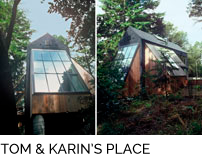 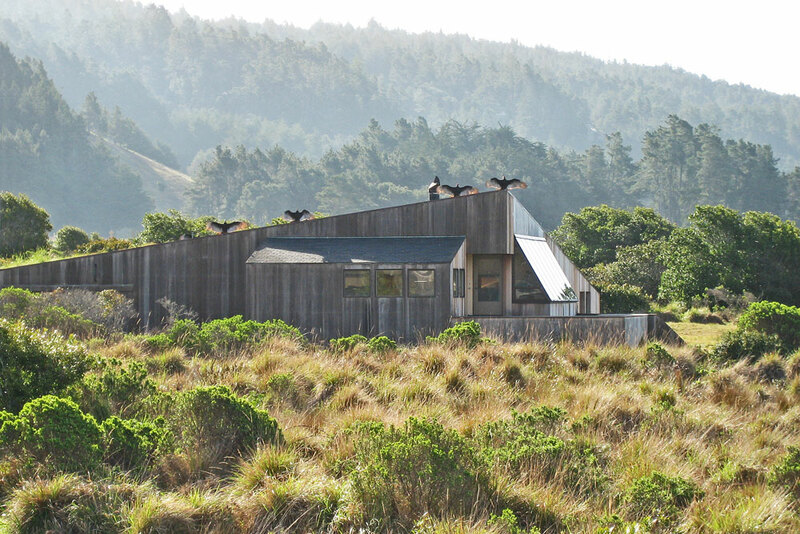 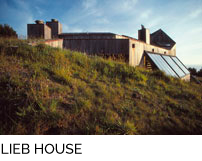 An additional desire was to make the house harmonious with the landscape, thereby reaffirming the original Sea Ranch philosophy of building in partnership with the land. 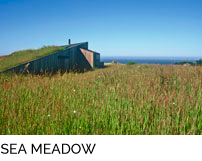 Two prominent rock formations rise out of the commons meadow to the west and suggested considering the house as a metaphorical third. 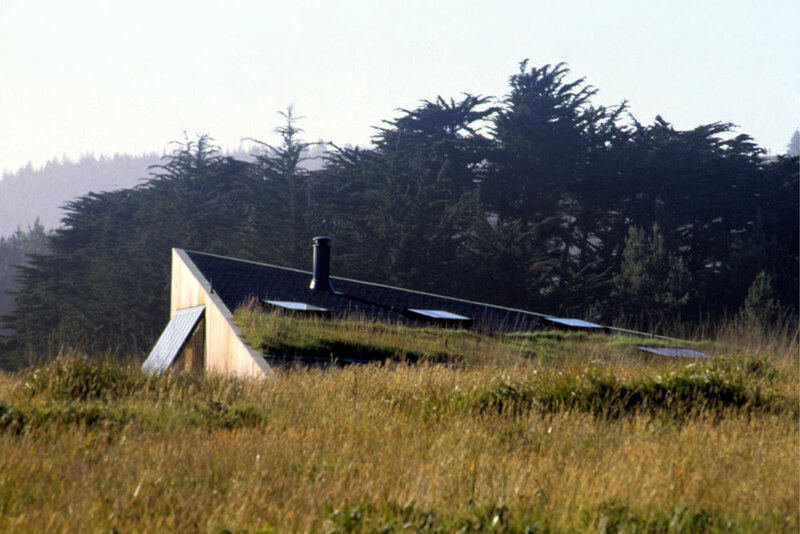 The composition shingle and earth covered triangular roof sweeps up out of the meadow achieving compositional anchorage to the setting. 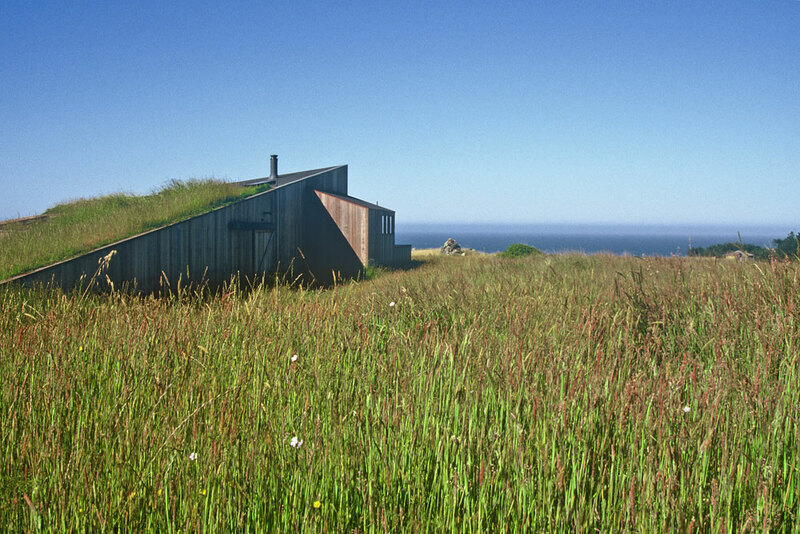 Not only has the house become a part of the meadow, the meadow has become a part of the house. 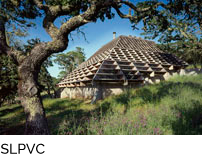 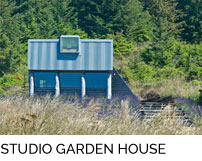 The geometry of the structure allows the living/dining space to be elevated above the meadow for enhanced views, while the secondary spaces wrap around it closer to ground level. 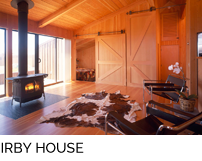 Circulation flows uninterrupted and is experienced as an integral part of both the upper and lower levels. 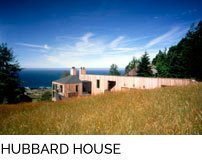 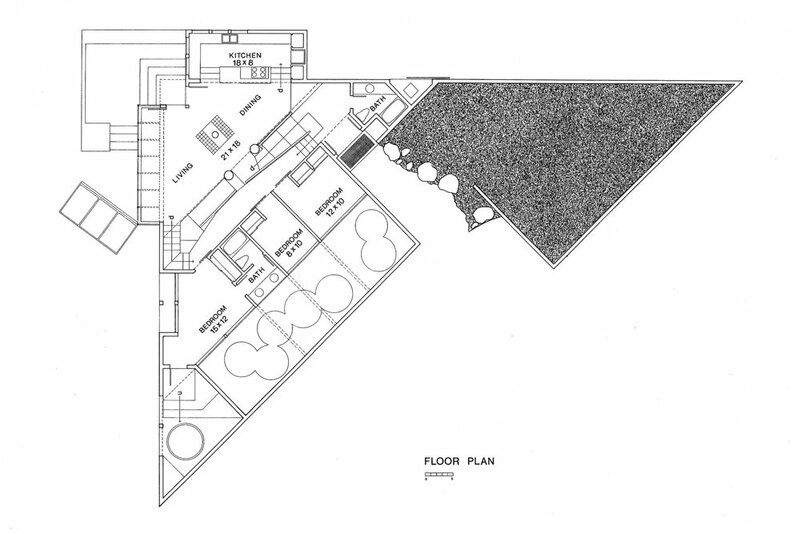 The east lower level spaces open to a reverse bermed garden which provides privacy from the street while allowing upward views to the coastal range beyond.